As a business, you need to ensure that your cash flow is ticking over so that you can be in the most secure business financial position possible. Many companies have struggled to keep on top of their business finances, and one reason for this could be troublesome late payers and unpaid invoices which make managing your cash flow difficult. 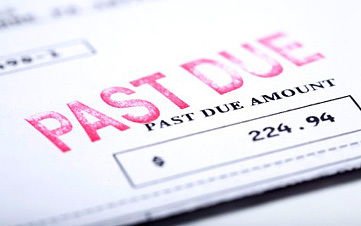 In fact, late payment is one of the biggest issues facing small companies in the UK. A Conservative initiative is currently in motion which proposes that more of the bigger businesses sign up to what is known as the prompt payment code. The prompt payment code means that companies need to pay their invoices within a set time period. Currently, this payment term is 120 days, but it is thought that it would be more beneficial if this was shortened to 60 days. However, until more of the larger companies decide to sign up to this code, it is up to you to take steps to managing your late payments. One of the first things that you should do is send your invoices on time, at the end of every month or whenever it is most beneficial in your financial month. On this invoice, you should be very clear about your payment terms. Your payment terms should be covered in any agreement that you have with your clients or customers. It should be on every invoice that you submit so that when clients claim that they did not know your payment terms, you can refer them to these invoices. Although many smaller businesses find it difficult to turn away business, if you find that a company repeatedly pays you late, you may consider refraining from doing business with them in the future. You may consider putting into place a deposit arrangement, or you may ask that payment is made earlier before the job is complete to guarantee that your company gets paid on time. Remember that you are offering a business loans service to your clients, and if they fail to pay you then this is simply unfair. In many cases, a phone call to a company is just not enough to get the message across. You need to continuously be firm and be confident when speaking to your late payers. You should phone them, email them and visit them until they take notice of you.